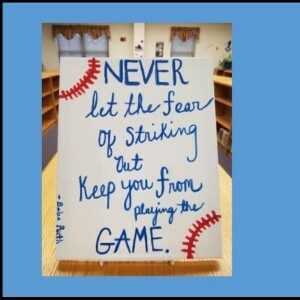 The mission of MCES and the media center is to prepare students with positive attitudes, appropriate social behaviors, and academic skills necessary to meet future challenges. To Provide Nothing Less than the Best .... To Achieve Nothing Less than Success! 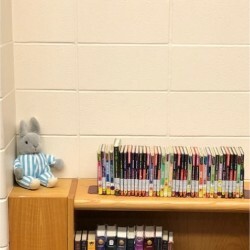 Number of Books: Students may check out 2 books at a time. Students should check with their Reading teachers to take Reading Counts quizzes before returning their books to the media center. Checking In/Out: All books are returned to the drop box at the circulation desk. 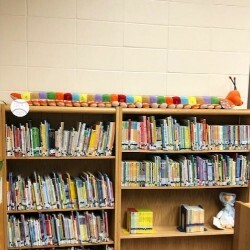 Students will use their lunch number/student id to check out books. 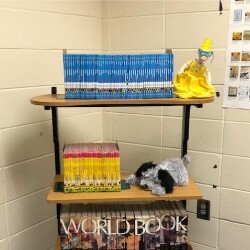 Lost or Damaged Books: Students will have to pay to replace a book that is lost or damaged. 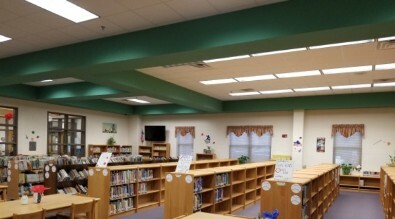 The media center is organized by Lexile, and students use the Reading Counts program. Students work on a variety of research projects, including careers, with Mrs. Donnelly. Students use a variety of written expression to explain the materials they read.